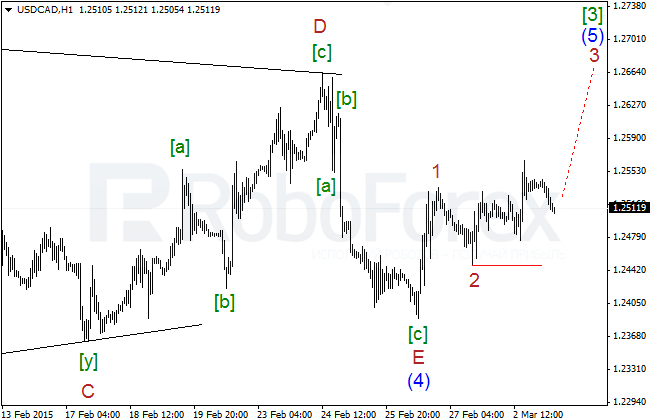 Euro is still forming an impulse inside a large descending wave (v) of [iii]. 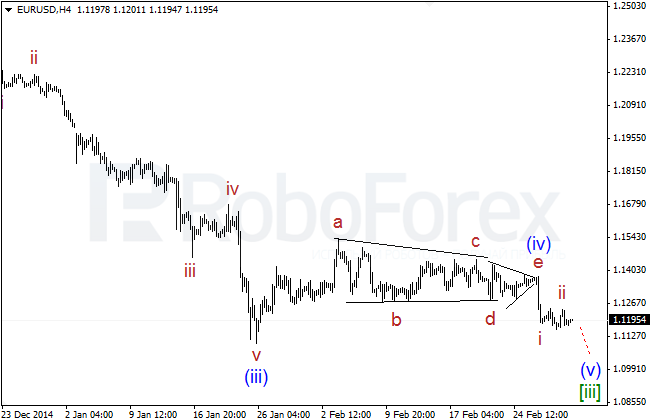 Most likely, in the nearest future, the market may continue falling and stay below 1.1100. Probably, the pair has already completed a correctional wave ii of (v) of [iii] in the form of running flat. 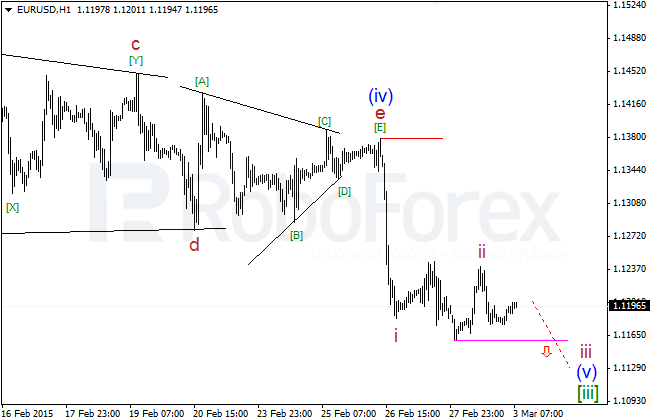 In the nearest future, the market is expected to move downwards and stay below the confirming level at 1.1158. 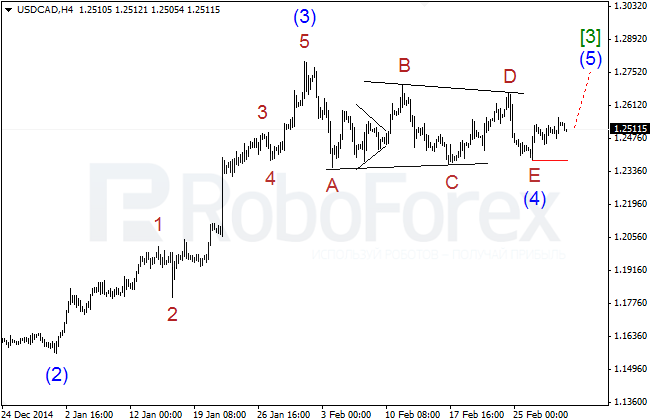 Pound is still forming a large descending impulse inside wave 5 of (1). The pair is moving below the critical level and in the nearest future is expected to continue moving downwards. Probably, the pair has finished a correctional wave [ii] of 5 of (1) in the form of expanded flat. 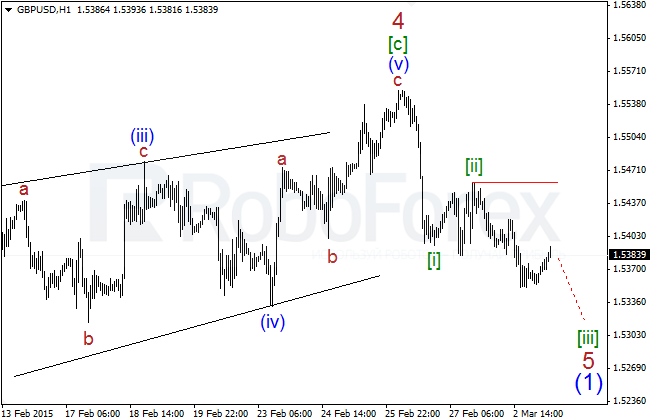 In the future, Pound is expected to continue falling inside wave [iii] of 5 of (1) and stay below 1.5300. 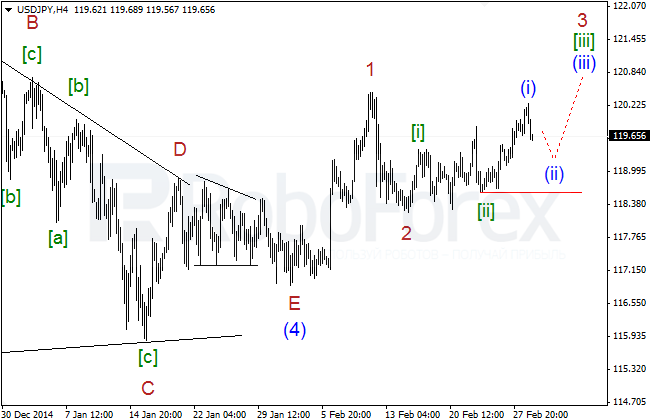 Probably, Yen has already completed the first three waves of a large ascending impulse 3 of (5) of . In the nearest future, the price is expected to stay above 120.00. 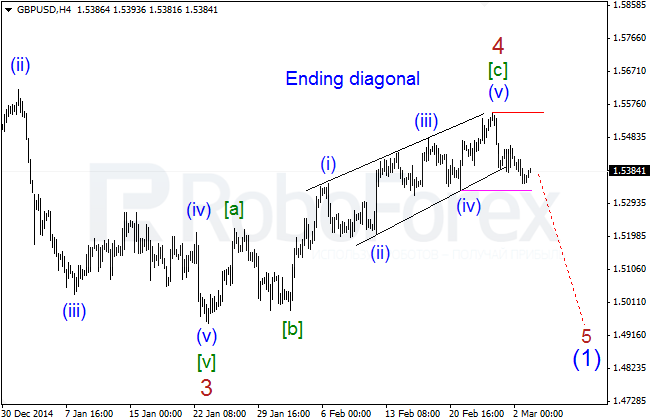 Most likely, the price has finished wave (i) of [iii] of 3 and right now is forming a correctional pattern inside wave (ii) of [iii] of 3. 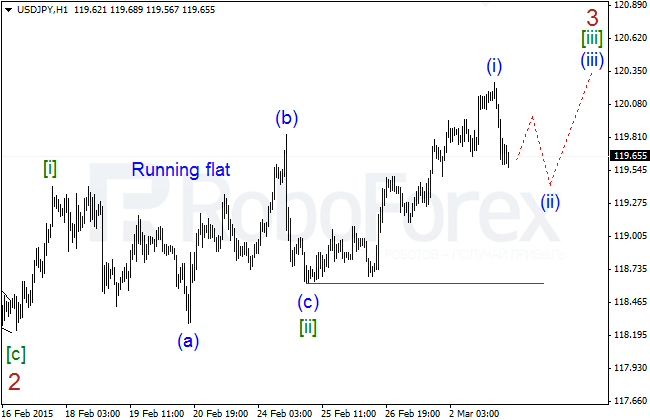 The pair is expected to consolidate in the range between 119.25 – 119.45 and then start forming a new ascending movement inside a larger impulse. After finishing horizontal triangle inside wave (4) of , the pair is in no hurry to grow fast, although it has already formed the first impulse inside wave (5) of . The price is expected to continue moving upwards. Most likely, the pair has finished a correctional wave 2 of (5) of  and right now is forming a large ascending impulse inside wave 3 of (5) of . In the future, the price is expected to continue growing.